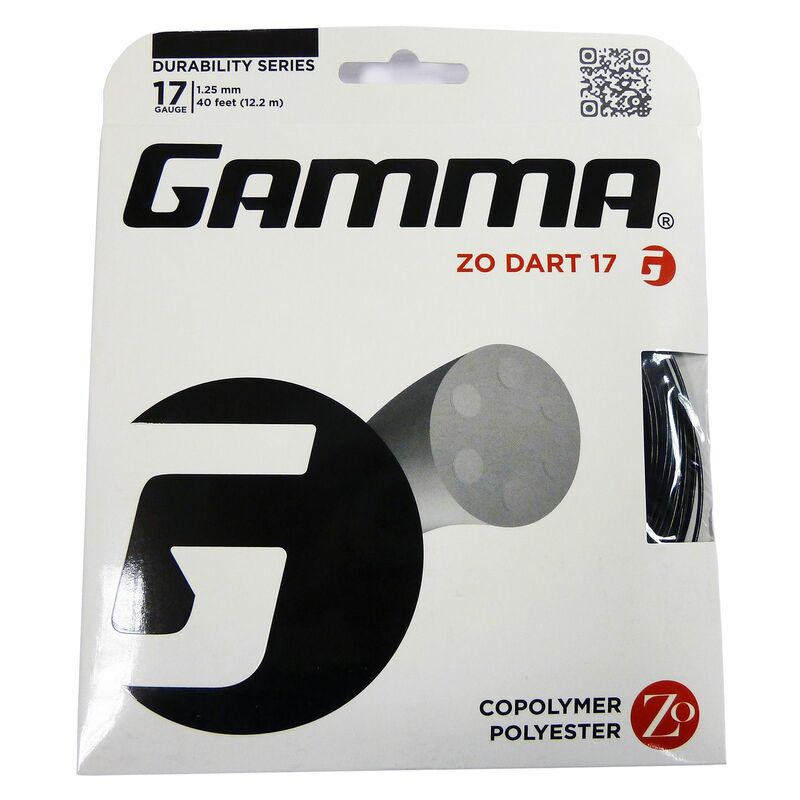 The Gamma Zo Dart 1.25mm tennis string set is 12.2m (40ft) long and ensures outstanding ball bite for greater spin potential. It features a gauge of 17 (1.25mm) and offers a crisp firm feel to deliver maximum control and dart-like accuracy on the court. for submitting product review about Gamma Zo Dart 1.25mm Tennis String Set.